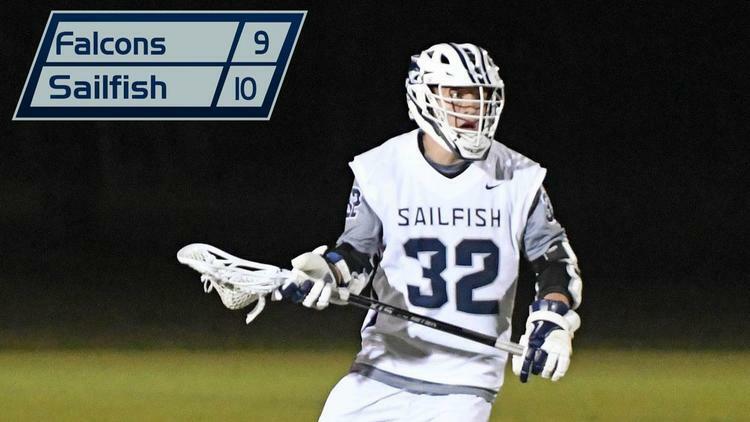 WEST PALM BEACH, Fla. – Palm Beach Atlantic men’s lacrosse head coach Stephen Tempone has released the upcoming schedule for the Sailfish. PBA will compete for just the second year as a varsity program in 2019. The ‘Fish will play 16 times from February through April with seven of those contests coming at the PBA Soccer/Lacrosse Field at the Rinker Athletic Campus. The Sailfish will begin the season up the coast in Daytona Beach on Feb. 8 and 10 where they’ll take on Young Harris and Notre Dame de Namur. It will be the first meeting for the Sailfish against both programs. PBA will return home to take on New York Tech on Valentine’s Day in the home opener. They’ll also take on Montevallo that weekend on Feb. 16 at home. PBA defeated the Falcons for the first win in program history last year on a neutral field. The ‘Fish will embark on a three-game road trip to North Carolina during Spink Break, taking on Wingate, Barton and Queens University of Charlotte. They will return home to host Emmanuel for the second straight year on March 9 before Sunshine State Conference play begins on March 16. Tempone’s squad will head back to Daytona Beach to take on Embry-Riddle to open up SSC play then return home for their final nonconference matchup of the year on March 19 against Saint Michael’s. PBA will split their final six games of the season between the road and home with Florida Southern, Lynn and Tampa all making their first trips to PBA. The Sailfish will travel to Saint Leo, Florida Tech and Rollins for the first time.